WELCOME TO DAY 5 OF MY 12 DAYS OF CHRISTMAS DECORATING, CRAFT AND GIFT IDEA CHALLENGE. Here is yet another example of a reused/repurposed thrift store item. 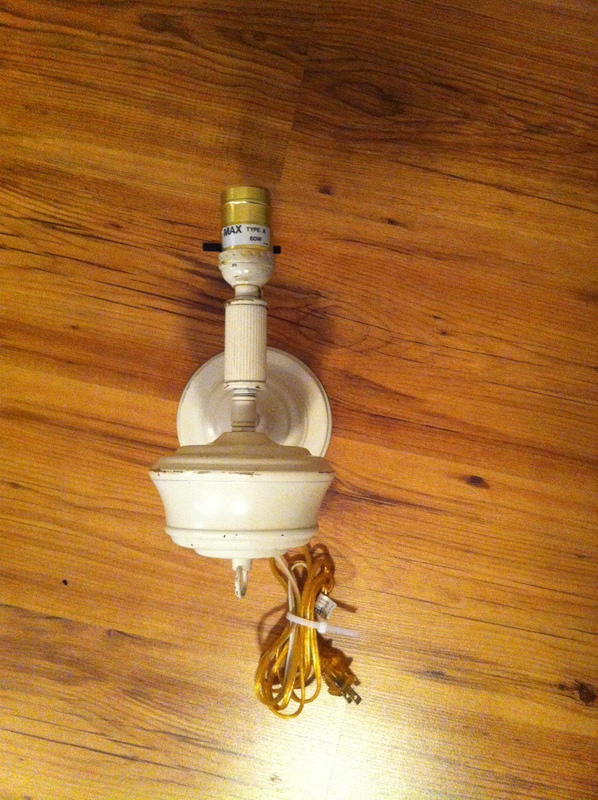 I bought the light fixture for $5.00 (I wish there had been two..) and was originally going to spray paint it black but when I took the guts out of it (socket and wiring) I liked the way it looked so decided to leave it as it was. 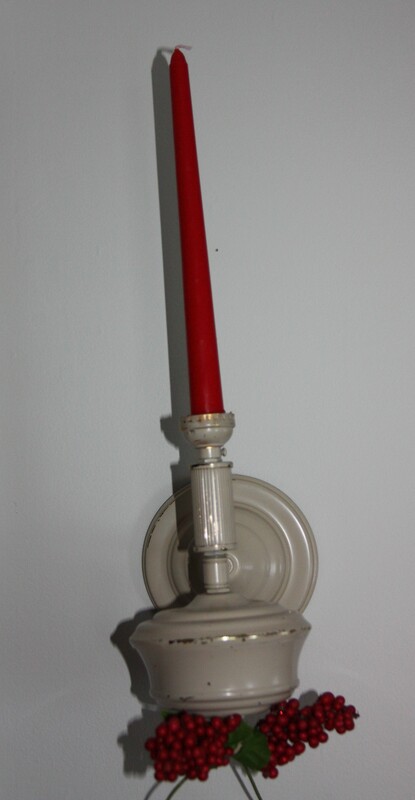 I glued in a tapered candlestick and added some red berries and Voila another easy DIY candle holder that can be used anytime of the year (I will probably leave the red candle and berries on until at least Valentine’s Day…lol, yes, I’m thinking ahead). Another look at how it looks now.. 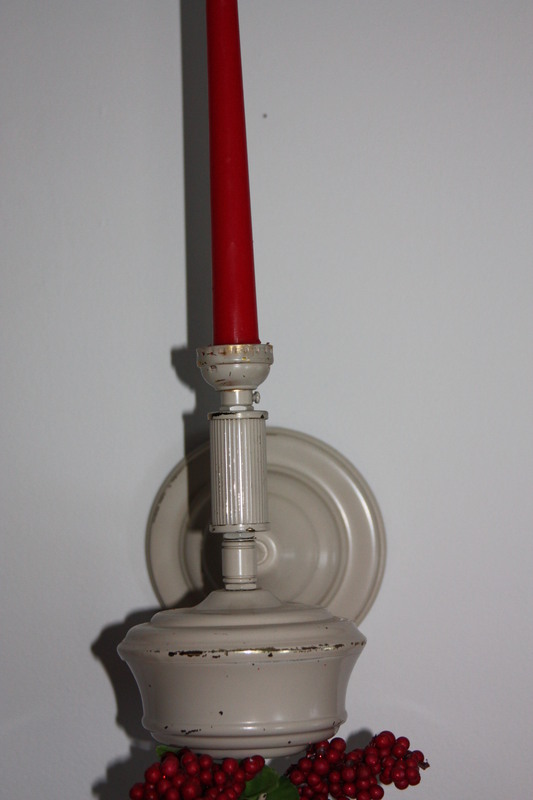 This entry was posted in Decorate, DIY and tagged antique, candle, Challenges, Christmas, Crafts, crafts, Decorate, DIY, easy, light fixture, living, paint, reuse, sconce, Valentine. Bookmark the permalink.